The Best Skateboard Grip Tape - What's The Grippiest Griptape in 2018? There are so many grip tape brands out there nowadays though that finding the best can be tricky. However, do not despair, we take a look at the best grip tape brands below. Firstly, though, if you are new to skateboarding, you may not even know what grip tape is. So, let’s take a look at grip tape and why you need it. "A skateboard without grip tape is much like a sandwich without a filling. Without a filling, a sandwich isn’t a sandwich and without grip tape, a skateboard is really just a bit of wood with a fancy graphic on it." Grip tape is basically sandpaper with a sticky backing. It covers your board and gives you all important grip. You need this grip to Ollie, Grind, Flip your board and basically just stay on it. Without grip tape, your skateboarding experience is going to be filled with slips and falls and you may never even feel secure enough to try kick turning, let alone ollies! Why do you need grip tape? Grip provides extra stability. If you skate a board without grip tape, you will end up sliding around all over and won’t be able to learn anything at all. 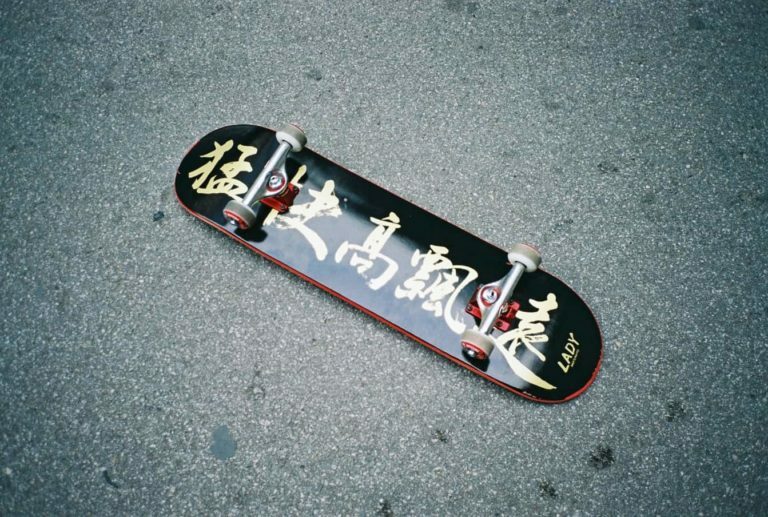 However, with grip tape, you can focus on learning tricks and less on staying upright. 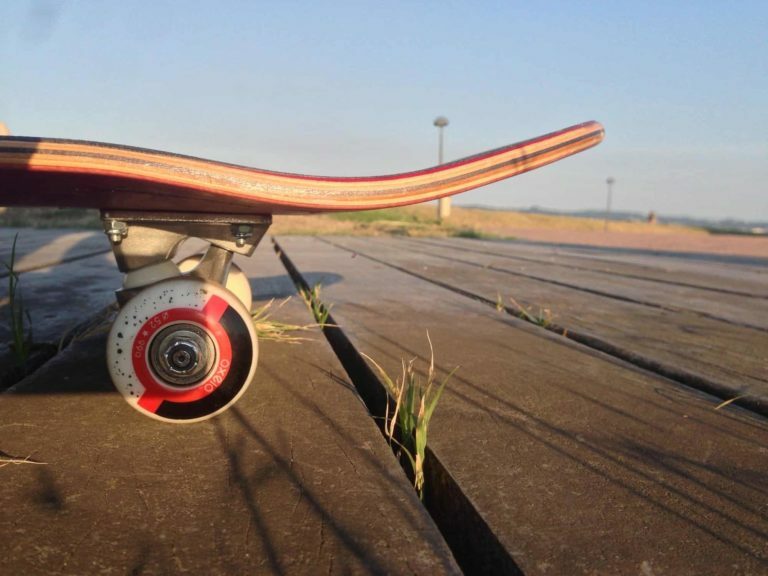 You need grip tape on your board because it is an essential part of what makes a skateboard a skateboard. It isn’t a marketing tool invented by skate shoe companies to make you spend more money on shoes. 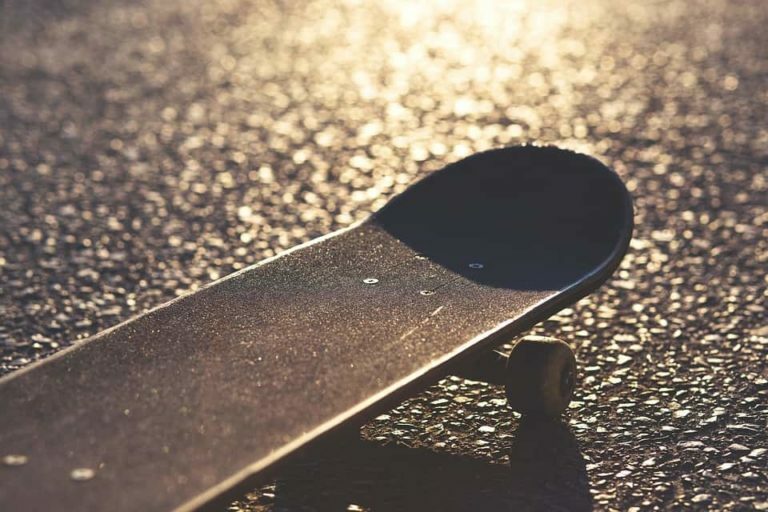 It is a necessity, and if you ride a board without it, you will have a lot of difficulties making any progress in skateboarding. There are moments in skateboarding when you may think you don’t need as much grip. For example, when you flick your foot to do a kickflip, you may think that having grip would be a bad thing. However, the opposite is true. Without the grip tape, there is no resistance and nothing for your shoe to flick against. Of course, there is the board, but without the grip, the foot would just fall off rather than flick the board. So, even during tricks where your feet come away from the board, the grip that the grip tape provides is essential to you landing clean! How do you apply grip tape to a Skateboard? Applying grip tape for the first time is a scary thing. The first time you apply it, it will probably look like you applied it in the dark with a plastic knife. In fact, the second and third times probably won't look too great either! However, once you have gripped a few boards, you will get the hang of it, we promise! 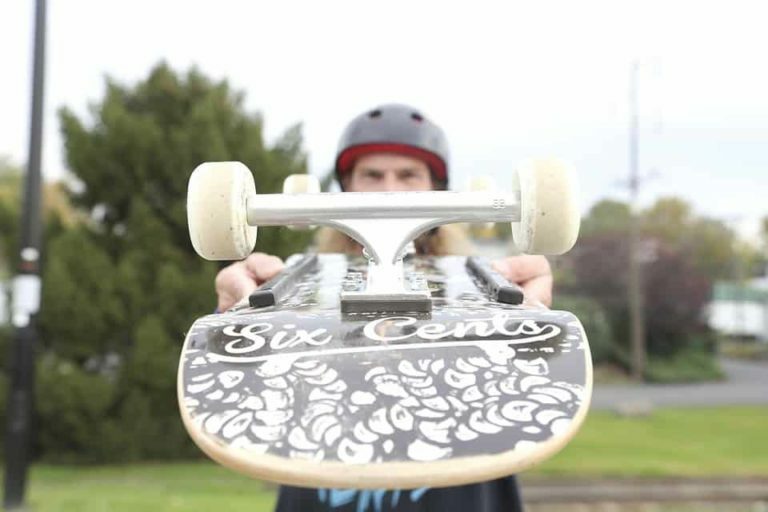 Now, most skate shops do offer a gripping service where they will grip a board that you have bought from them sometimes for free, sometimes at a small cost. However, you should learn to grip your own board, it isn’t as hard as some people say. To start with, you want to roll the grip tape out flat. If it has come packaged up in a roll, you need to roll it the other way. The last thing you want is to take the backing off and the grip tape to roll back up again and get stuck to itself. So, roll the grip tape back up in the opposite direction and make sure it’s as flat as you can get it. Next, grab your board and make sure the wrapping is off of that. I’ve never done this, but I have heard of someone not paying attention and gripping their board with the wrapping still on only for the grip tape to quickly fall off! So, always check that! Once your board's wrapping is off, place it on your lap. Now its time to take the backing off of the grip tape. Just start picking at the corner of the grip tape until it starts to peel away. Now, don’t do this in a dusty or dirty place because you will get dust or dirt all over the sticky part of the grip. Take the backing sheet off slowly, if you drop the grip tape now, you’re screwed! Remove the backing completely, but keep it, you’ll need it later. Now you have the grip tape all ready to go, grab it by the ends and place it gently on to the nose and tail of your board, lining it up so that it covers the board. Do this gently so that if you need to have another go, you can. Once you’re happy with it, start pressing the grip tape down from the centre, moving outwards. Now grab the backing sheet again and place it over the top of the grip tape, this is going to save you shaving the skin off your hands. Now with a fair amount of pressure, start pressing the grip tape down. You want to press the grip tape down and slide your hand to the edge of the board at the same time. This will get out any air bubbles (or most air bubbles). Here comes the exciting part, find something metal to score the edges with. I use the back of a knife to do this, but you could use your truck. Score the edges so that you have an outline of the deck to cut to. Once this is done, it’s time to cut the grip tape. You can also cut the four corners of the grip tape at this point, some people do it, some don’t, I do, but I don't know why! Go slowly when cutting grip, there is no need to rush cutting it. Remember, you are going to be looking at this for a few months, so be careful and take your time. Hold the knife at roughly a 45-degree angle to the board and keep tension on the grip tape with your other hand. Slowly make your way around the board with the cut matching this angle as you go through the concave. I know this sounds tricky, but it isn’t when you have done it a few times. Plus, the final step can really hide any crimes you make right here. The final step, take the scrap bit of grip tape you just cut off and sand the edges of your board. This takes off any excess that you missed and makes your grip job look like a pro did it! Now you know how to grip a skateboard I’m sure you’re wondering what is best grip tape is to try this out with? Well, before you rush off to try this gripping technique, let’s take a look at some of the best grip tape on the market right now. When Torey Pudwell created Grizzly no one was really sure where it would fit in. However, after they started making some of the best grip tape in the game, the world quickly stood up and took notice. Grizzly offers a bunch of different grip, but we like the grip with the bear cut out. It makes finding your tail really easy in the blink of an eye. If, like us, you don’t like having to think about which end is your nose and tail, get Grizzly grip! Mob grip took grip tape technology to the next level when they introduced their grip with tiny holes in it. The tiny holes meant that you never got air bubbles and the world fell in love with it instantly. The grip that Mob provides is insane, although it can dull after a while. However, if you like a heavy session and your boards barely last a month, that isn’t an issue. If your boards last a year or more, perhaps another grip on this list will be better for you. It is one of the world’s favorite grip tapes and perfect for a beginner wanting to minimize air bubbles upon application! Jessup's grip tape is a simple, no frills grip tape. You can find it in most colors, but those who ride often keep it simple and stick to black. It is one of the most grippiest grip tapes on the market and never fails, even after months of riding it. If you are just starting out and want the most basic grip tape possible, but still want quality, Jessups is the way to go. You can buy it in rolls or sheets, and you’ll need to worry about losing grip again. Although all of the grip tapes above are excellent, we choose Shake Junt as our top pick. Give it a try and good luck with gripping your first board. If you get the original Shake Junt Spray grip tape, the lettering allows you to line up your feet for certain tricks perfectly. This means that even when you’re starting out, you know the perfect place to put your foot for a kickflip or tre-flip. Even if you’ve been skating for a long time, being able to place your foot in the exact same spot every time means you hardly ever miss a trick. We love Shake Junt grip for that, it is also amazingly grippy, even after a few months of use. We've never had any trouble with Shake Junt grip and you shouldn’t either. Grip placement has to be spot on. It has to match your stance for the lettering to help with foot placement. Not a big thing, but something to remember when gripping the board.